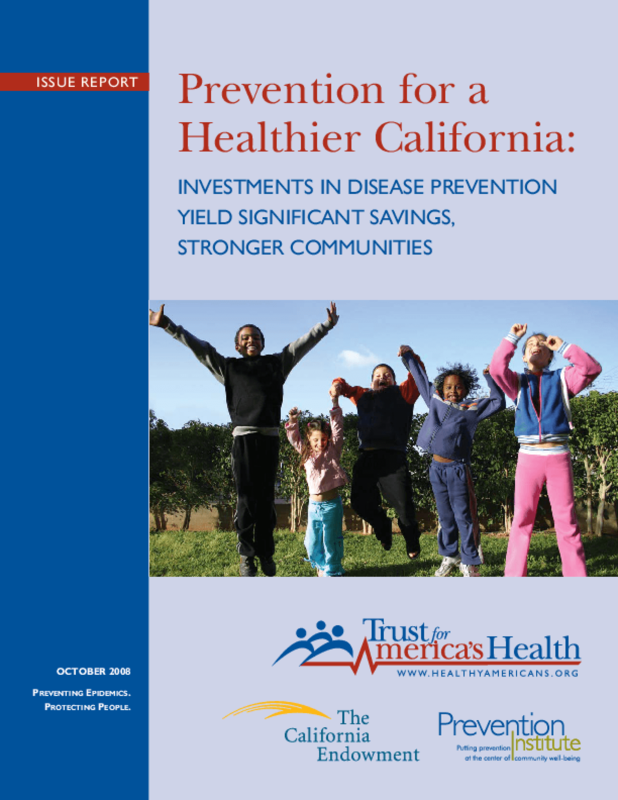 Estimates how much the state and the nation could save in healthcare costs by investing in disease prevention through community programs that increase physical activity, improve nutrition, and reduce tobacco use. Provides examples of prevention efforts. Copyright 2008 Trust for America's Health.